When people are asked to imagine what a casino is they will typically think of the Las Vegas Strip and the large casinos that populate the boulevard. However, recent data suggests that while physical casinos like those in Las Vegas are a large and important segment of the gaming market, it is the online casinos that are growing at a tremendous rate and it appears that they will continue to grow if current trends hold. In 2017 online casinos were valued at an estimated 47 billion dollars. By 2020 online casinos are forecasted to be worth nearly 60 billion dollars. In order to understand this emerging market in the casino industry it is important to examine some of the largest companies in online gaming to understand what their business model is and how they came to be where they are today and where they are likely to head in the future. 888 Holdings and William Hill PLC are two such companies that have had many ups and downs on their road to their current success in the industry. 888 Holdings is a major online casino brand that has been in the industry since 1997 and is currently worth over one billion dollars. 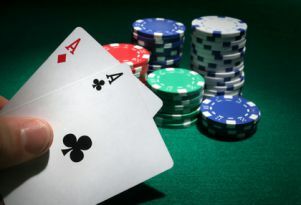 The company focuses on a wide variety of casino games including poker and sports betting through their online platforms. Furthermore, a large part of 888 Holdings is also involved in business-to-business operations. Indeed, business-to-business operations comprise an estimate 10% of 888 Holding’s current revenue. Despite their success, an increased tax burden in the United Kingdom and Germany has slowed the anticipated growth of the company. Furthermore, regulations passed in Australia in 2017 effectively pushed 888 Holdings out of the market by forcing it to obtain unreasonably expensive licensing from local governments. William Hill PLC, founded in 1934, is an old name in the casino industry. Today it operates both physical and online gaming operations, and is worth an estimated 2.3 billion dollars. However, fines due to unscrupulous business practices in the United Kingdom have hindered the growth of this old company. In 2018 a 8.3 million pound fine was imposed on the company for failing to protect their consumers and aiding in money laundering. The fine was the second largest imposed on a gaming company in the United Kingdom’s history. Investigators discovered that certain gamblers were depositing far more than they earned with the casino as result of embezzlement. William Hill PLC was fined in part because it should have noticed and stopped this suspicious activity. The fines levied on William Hill PLC should serve as a notice to online gaming companies that they will need to be as vigilant in monitoring their online customers as they would with customers in a physical casino. Despite this, it appears that online casinos such as 888 Holdings and William Hill PLC will continue to grow as technology continues to grow.